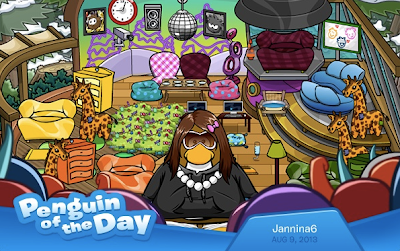 Club Penguin Cheats by Mimo777 Club Penguin Cheats by Mimo777: Penguin of the Day: Jannina6! Jannina6’s friends think she’s awesome, and so do I! She gives tours, hosts amazing igloo parties, and she's always there for her friends. What more could you ask for? Oh yeah, don't forget you can nominate your friend here.